The Mastercraft X-612 box extractor is an excellent machine for hotels, offices, conference halls, sport complexes, and similar large facilities. It has 2 large back wheels and 2 front caster wheels for easy maneuvering around your work area. The large handle area, along with the back wheels, also makes it convenient to get in and out of your work vehicle. Need to get at the motor inside? The body is conveniently hinged at the back to allow you to completely open the machine like a clamshell - this makes servicing a piece of cake! Keep an eye on your recovery tank through a large clear dome on the top. Notice that with the recovery tank in a higher position the job of emptying is made easier with gravity. Just open the tank valve on the front into a bucket or floor drain. The quality fiberglass construction makes this box extractor able to withstand water and cleaning solutions with ease. 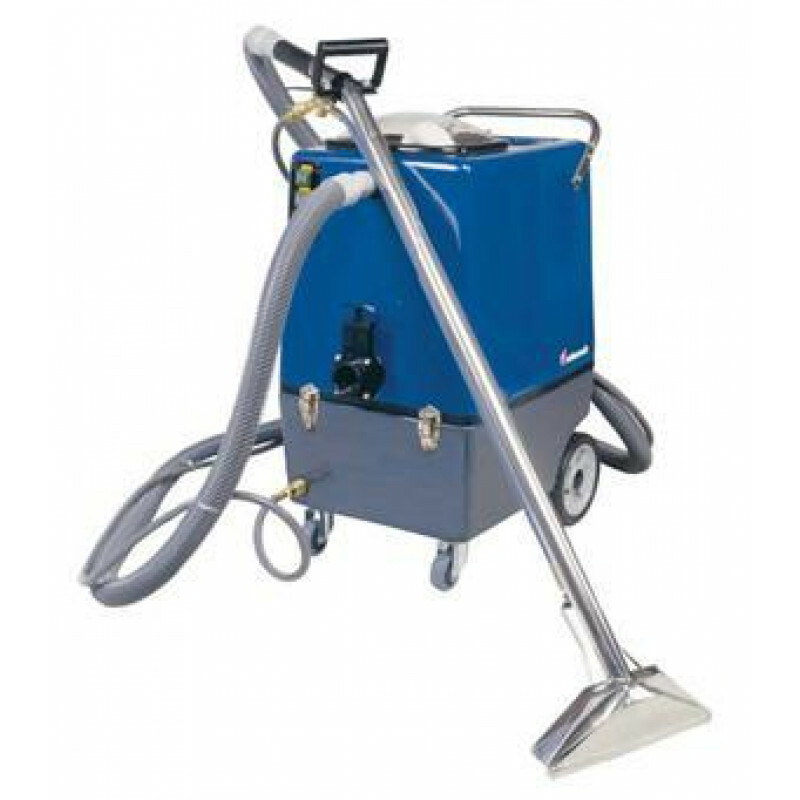 Includes a 15' vacuum/solution hose and a 12" stainless steel carpet wand with 2 spray jets. For other box extractors take a look through all of our cold water extractor machine or even our heated carpet extractors to find the right machine for the job.